By Mark Barden . Published on April 21, 2008. Downturns are tough on everyone and are not to be taken lightly. We'll all have to do more with less. But luckily for marketers, we're surrounded by sources of inspiration at times like these. In every category there is a "challenger" seeking to compete with a leader and trying to do more with less. It's as though challengers live in an almost permanent recession. Maybe Hal Fass is right and "little players tend to shake out in a recession," or maybe they are already implementing their more innovative recession-busting marketing plans right now, because they're more nimble than you. Only the paranoid survive. Spending every day as David outgunned by Goliath -- with his massive R&D budgets, TV campaigns, end-cap displays and free shipping -- requires quite a different mind-set. And what's interesting for those of us who spend time with these people is how liberated challengers seem to be by this. They see their challenges as sources of strength and creativity. Perhaps as marketers we could all be invigorated by the recession if we embraced the challenger mind-set. What follows are four ways to make your marketing money work harder, inspired by real-world challengers. I offer the below as an innovation program. Much has been said about the long-term benefits of innovating in a recession, and this almost always equates to developing new products. That may well be the right thing to do, but it won't pay off any time soon. These four ideas can start working for you much sooner. Instead of, say, cutting your media spend by 10%, what if you slashed it by 100% instead and forced yourself to look for alternative forms of media, those "media" already at your disposal? If you're Method, you use your packaging. On the hand-wash refill package there's a witty as well as substantive top 10 list of reasons to be "Against Dirty," which both engages us for a minute in the way a good ad does, while conveying what the brand believes in. Method uses some of its packaging to project its beliefs, much as a leader might use TV, but the cost to Method is minimal. No, this can't replace the power of TV, but how many package-goods brands still see their package as a container rather than a medium? In a recession, this is a costly mistake. Challengers get people to pay attention to them by strategically picking fights. There's a reason why we used to run from one end of the schoolyard to the other to watch two kids brawling. When it was someone finally taking on the school bully, we ran as hard as we could. Would this be the day when our lunch money would once again be safe? Public battles between brands hold the same promise if someone, or something, might be liberated from the tyranny of the big guy. Miller Lite made headway against Bud Light for the first time in years when it busted it publicly for putting out what Miller called a tasteless Bud Light. It revealed a truth that any self-respecting lovers of suds ought to know about before parting with its hard-earned money. Three cheers for David. Guys at Miller: Time to bring that approach back. As money tightens, our suspicions of being ripped off only rise. If you're a lover, not a fighter -- as Majorcan shoe company Camper is -- it can still be useful to pick an enemy, if only for the attention it will get you. Especially when it requires taking a stand against something we all seem to hold sacred: the striving for accomplishment that defines modern life. Their "Walk, don't run" philosophy, explained in magalogs, on its website, and stenciled on the walls of their stores, calls us out pretty sharpish on our 24/7, CrackBerry-adled existences. One small company is taking a stand against our entire civilization. Mark Barden is a partner at eatbigfish. He is a specialist in challenger brands -- those plucky No. 2 or No. 3 brands that manage to compete effectively with brand leaders. His clients include eBay, Unilever, PepsiCo and Lexus. OK, hate can be a nasty idea at the best of times, but in the worst of times, it can be a tremendous ally in creating the kind of theater and energy needed to grab the imaginations of the consumer. In each of these cases, the reframing was around some very strongly held personal beliefs. Successful challengers are nearly always invested with a very personal sense of mission. Whether it be to detox the home (Method) or get the world to slow down (Camper), it is the people behind the challenge who give it its teeth, because they take it personally. This personal conviction acts as a huge multiplier on even the smallest budget. 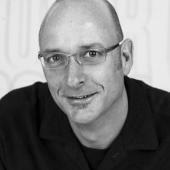 Mark Barden is a partner at the consulting firm Eatbigfish, experts in challenger brands. He is the co-author with Adam Morgan of the book "A Beautiful Constraint: How to Transform Your Limitations Into Advantages and Why It's Everyone's Business."